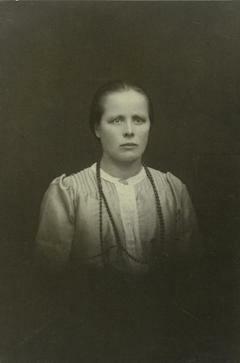 One hundred years ago today, former Member of Parliament Edla Sofia Hjulgrén was shot during the Finnish Civil War. At the time, Finland was still a Grand Duchy within tsarist Russia. When the Russian revolutionaries who conquered power in St. Petersburg in 1917 proved reluctant to agree to Finnish independence, the Finns just declared it, and a civil war ensued in the first months of 1918 — between Soviet-backed Red Guards and German-backed White Guards. The Whites won a nasty war thick with atrocities on both sides. Although she was a pacifist, our Sofia Hjulgrén was among hundreds of Red supporters swept up after the decisive Battle of Vyborg clinched White victory. She was shot there — it’s Viipuri to the Finns, and Vyborg to the Russians — in the cemetery. 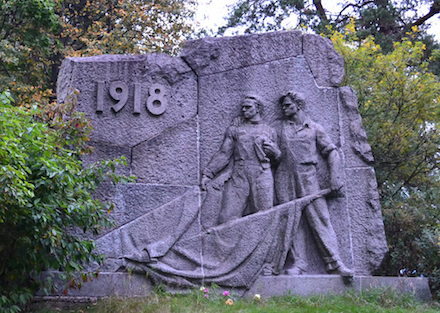 The Soviets got Vyborg back in a subsequent war with Finland, and erected a monument there to the hundreds of victims of the Whites’ April-May 1918 Vyborg Massacre. * Finland boasts of being the first legislature in the world with full gender equality — meaning that, as of 1906, women enjoyed full equality both to vote and to stand for office. Women comprised above a tenth of its parliamentary delegates on the eve of Finland’s independence. Soviets got Viipuri back? Viipuri is a Finnish city of my parents and grand parents. It was never a Russian city, and Finland was granted their freedom in 1917, but the Bolsheviks joined the Finnish reds in 1918 to bring all of Finland into the Soviet Union. They failed. My parents fled Viipuri twice, 1939 and 1944 when with American material help, they succeeded in annexing most of Karelia. This was a criminal act as the Atlantic Charter was an agreement that did not allow border changes. The Soviets had signed it.